As January 2013 winds to a close, virtually all 50 states have their legislative sessions in full swing. With the notable exception of Maryland, things to be quiet on the state legislative front. In Maryland, Del. Sam Arora has introduced the Maryland False Claims Act of 2013. The main goal of this new legislation is to expand the existing Maryland False Health Claims Act into a full false claims act. Delegate Arora asked me to review this legislation and I have some preliminary thoughts on the bill; I have also offered to help in any way I can to improve the Maryland False Claims Act of 2013. I definitely applaud Del. Arora’s efforts — I maintained, last time around, that the Maryland FCA should be a full statute protecting every dollar and not just a health care FCA. Del. Arora has now taken up that fight and my hat is off to him. Furthermore, I am in not in a position to question Del. Arora’s strategy — the battle over state FCA legislation is therefore fought on different ground each time. It is interesting to note, as a political matter, that in some states Republican legislators view FCA legislation suspiciously because it is supported by Democrats; in other states Democrats view FCA legislation with suspicion because it is sponsored by Republicans. 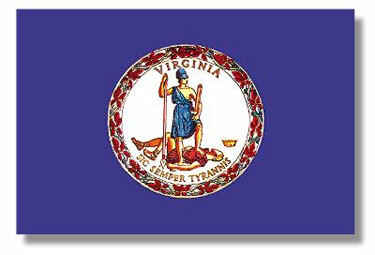 Some states (like Virginia) adopt the legislation unanimously and without debate, while other states witness a massive lobbying campaign and a scorched-earth fight to the finish. The “last time around” was in 2010, when none other than Governor O’Malley made the Maryland FCA the centerpiece of his legislative agenda for that year. Gov. O’Malley is a very popular figure and he is used to getting his way in the legislature, but he sure didn’t get his way with the Maryland FCA in 2010. The legislature made a number of changes prior to the bill’s final passage — I suspect the changes were suggested by the very helpful health care lobbyists who realized they were fighting a losing battle and decided to take a different approach. 3. passage of an identical law ensures that the state will be able to join in multi-state actions as a full participant. Nevertheless, Del. Arora is following one of the key principles in these legislative battles — he knows his terrain, and he knows his enemy. As such, his bill aims to expand the existing law, with all of its flaws, to all state expenditures as opposed to just being a false health claims act. The bill has many flaws, which I lack the time to discuss in full here, but all of the problems share a common denominator — that is, the bill is not as protective of government money as the federal FCA. That, of course, is a mandatory prerequisite to DRA approval. For example, the mandatory fines provision of the statute provides for a fine of $1,000.00 for the first violation and $5,000 for each violation thereafter. The federal law, like our Virginia Fraud Against Taxpayers Act, requires a penalty of $5,500 and between $11,000 for each fine, and the fine is mandatory. The monetary award to the qui tam relator in a Maryland state action is capped at 25% instead of the 30% cap included in the federal law. This is also less protective than the federal law. The mandatory award of attorney’s fees is discretionary, saying that the court “may” award a private relator his fees, costs and expenses. This is also no good, and will really prevent the qui tam bar from taking an interest in Maryland state cases. What’s worse, this provision also says that in considering an award of attorney’s fees, the court shall consider the overall value and amount of the government’s recovery. An additional strange provision calls for the state to cooperate with the federal government in multi-jurisdictional investigations, with the goal of not inconveniencing the defendant during the investigation….whiskey, tango, foxtrot…. or at least I think that is what it says, reading these bills can sometimes be confusing. A lesser category of mistake is that it seems to include City and County Attorney’s offices in the prosecution framework. This is a mistake that is more difficult to explain but I will try in a later post. That being said, there are a number of things I like about the bill. For example, it provides a funding mechanism to divvy up the proceeds of these cases, which is something we in Virginia still lack. (Here, all of most of the proceeds of non-health care FCA recoveries goes into the general fund, along with all other money from fines. This can be a problem because none of the money is set aside to beef-up the Attorney General’s office). Stay tuned for developments on this front….I will be sure to keep readers updated on Del. Arora’s fight!